Shares of Ford (F) have plunged nearly 10% this week, giving up all their gains for 2014 in the process. 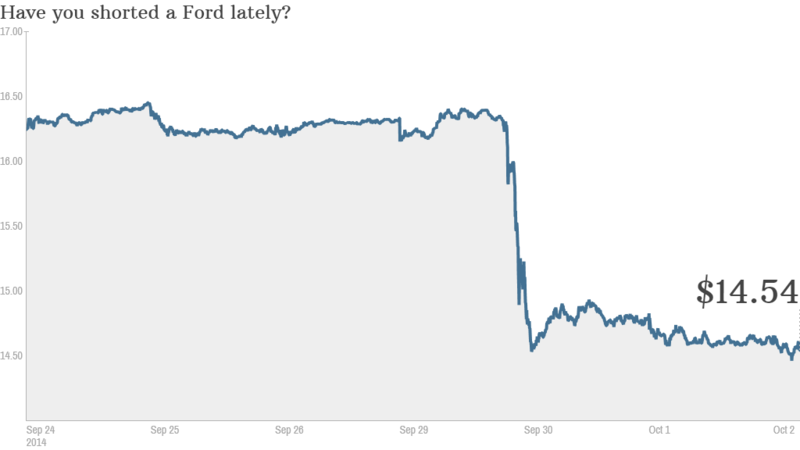 The stock is down about 15% since Fields succeeded legendary Ford CEO Alan Mulally on July 1. Several things have gone wrong for Ford in the past few days. Investors were spooked by the company's earnings warning on Tuesday. Ford said problems in Russia and South America would hurt profits. On Wednesday, Ford reported a sales drop in September, largely due to weaker demand for the company's flagship F-150 truck. 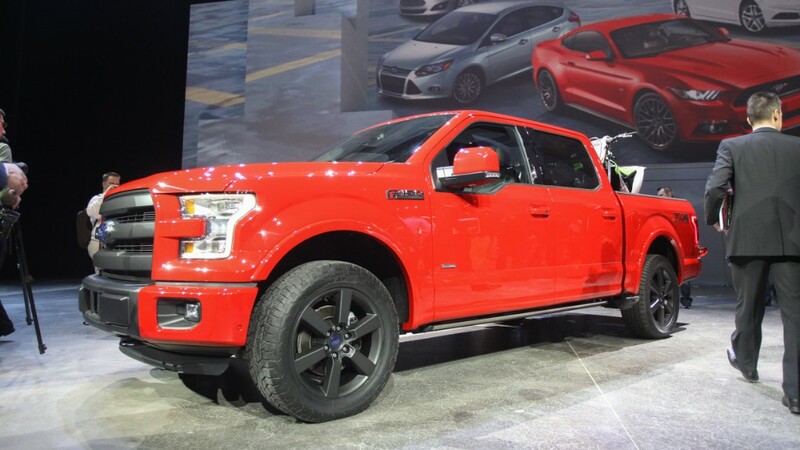 Ford is in the process of launching its 2015 model of the F-150, which will feature an aluminum body to make the truck more fuel efficient. Ford's other Big 3 rivals took advantage of this. GM (GM) and Fiat (FIADF)-owned Chrysler both reported robust sales for September, led by big gains for GM's Silverado truck and Chrysler's Ram. But is the sell-off in Ford overdone? Stay Ford tough: The stock now trades for just 8 times 2015 earnings estimates. That's only a slight premium to GM's price-to-earnings ratio of 7. It's also below Ford's projected long-term earnings growth rate of 10% annually for the next few years. And you do have to wonder if Ford's stock would be down this much on the same dose of bad news if Mulally were the one giving it instead of Fields. While Fields is a well-respected Ford veteran, he does have much to prove to Wall Street. It's a similar position that Apple (AAPL) CEO Tim Cook found himself in shortly after he took over for Steve Jobs. Fields has huge shoes to fill. Mulally, like Jobs, was adored by investors. Mulally is widely credited for keeping Ford out of bankruptcy during the financial crisis. 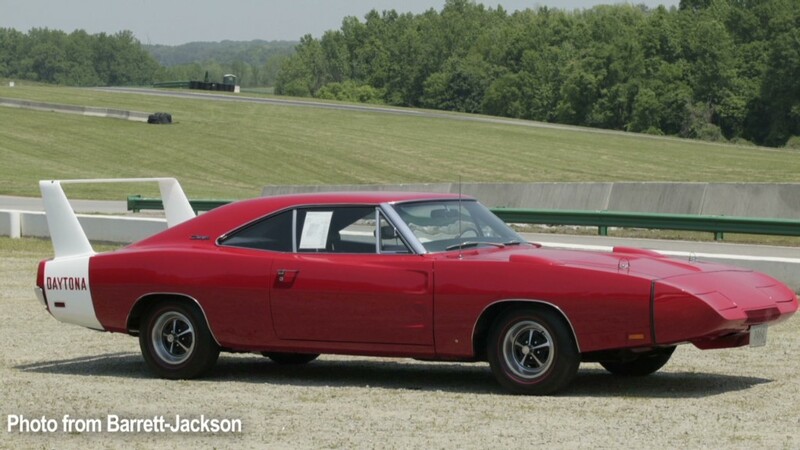 GM and Chrysler both needed government bailouts. So Fields may just need to get past this mini-crisis and show Wall Street that Ford's growth remains on track. Out of Focus? Then again, there are legitimate reasons why Ford's stock could fall further. Morgan Stanley auto analyst Adam Jonas downgraded Ford last month due to concerns that auto sales for the next few years might be lifted by incentives and easy credit. That will help volume but could hurt profit margins. Jonas cut his price target on GM for the same reasons. Ford may also be struggling to compete with Tesla (TSLA) ... at least as an investment. Elon Musk's electric car company has become a Wall Street darling. And if Tesla is able to live up to the hype and move beyond niche status to mass market, that could mean further trouble for Ford, GM and the other makers of traditional gas guzzlers. Musk is hoping that Tesla will be able to produce 500,000 cars a year by 2020. And many of them could be more affordable Model III versions with a longer battery life. Tesla currently makes the pricey Model S sedan and will start shipping its Model X crossover. But Musk cryptically tweeted on Wednesday about an upcoming announcement for "the D and something else." That has investors excited too. So Ford's stock is likely to remain less attractive than Tesla. But the good news for Ford is that it still looks better than GM. Ford has had to deal with some recalls lately, but it is not facing the PR and financial nightmare that GM is. At the end of the day, Mary Barra stepped into a much worse situation than Fields did. She inherited a mess. Fields merely just has to step out of the shadow of an icon. Tim Cook was eventually able to do it. Fields probably can as well.